The MANTA 6″ Low Profile Wire Routing Rail Guard provides a multitude of wire routing options or it can simply act as the ultimate heat-mitigating rail guard. This rail guard will allow you to cover one of your rails with a minimal increase in diameter while allowing you to manage your wires, no more zip ties or tape! The modular design interfaces with any Manta products, allowing you to protect any exposed rail area. Cover the top rail to eliminate sight picture mirage generated by the heat of the barrel. Heat transfer from the rail to your hand has become a thing of the past with MANTA Rail Guards. All MANTA products are produced from revolutionary materials that resist Extreme Heat, Chemicals and Abrasion!  We are proud to say that this product is standard issue on the U.S.M.C. M27 Infantry Automatic Rifle as well standard issue to Militaries around the world.